With festival service gmbh, your events and corporate events are in the best hands. 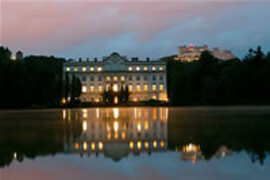 Find out more about what the Salzburg events management company can do for you. While staying true to your individual company’s philosophy, festival service gmbh meets all our customers’ expectations reliably, quickly and on schedule: from events planning to its execution right up until the end of your event. The range of event management services provided by the international event company festival service gmbh includes drawing up a concept, budget planning, destination management, decorations, personnel hire and much more. Since it came onto the events management scene, the festival service company, located in Salzburg, has established an excellent reputation. Would you like to plan an unforgettable event that will amaze customers, business partners and staff? Then the team at festival service in Austria is your first point of contact, as our event management company’s superb references attest to. Don’t delay; get in touch with us with no obligation today. We look forward to speaking with you!